With the days getting shorter and the nights closing in have you thought about how you are going to continue training through the winter, in the darkness? Some of you might be able to get your training in during the minimal daylight hours over winter but chances are a lot of your running is going to be in the dark. Run in the Dark – Worldwide – As darkness sweeps around the globe on Wednesday November 11th 2015 thousands will pull on their running shoes and their flashing armbands and head for the door. Join in your local Run in the Dark to get involved with either a 5km/10km option. I’m hosting the Edinburgh pop-up event, read about last year’s great event in Edinburgh here. Mighty Deerstalker – Scotland’s original obstacle race….in the dark – 12th March 2015. Flash Mob Run – Pentland Hills Scotland 4th November 2015. 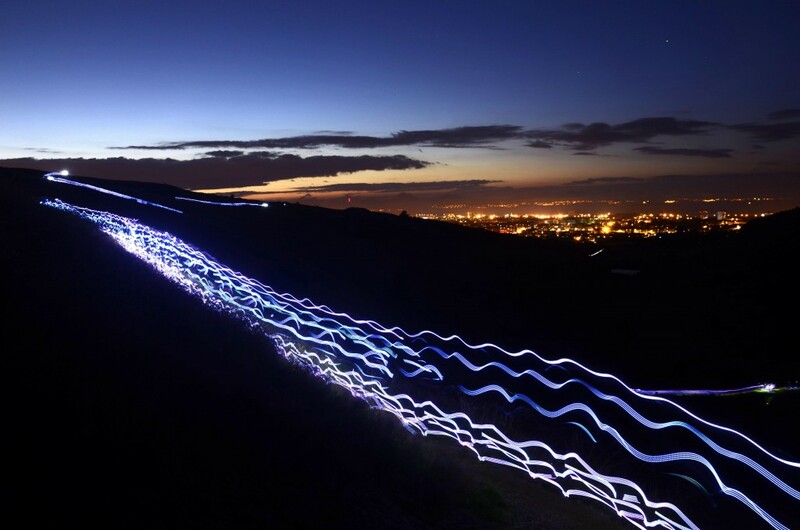 National Trust Night Runs – National series of night time trail runs scattered throughout the country at various times throughout the year. The Night Runner – a series of 3 events held in Delamere, Grizedale and Rivington. Know of any more great night time events? Then let me know by commenting below so I can check them out too. Go out and enjoy the darkness. Happy Running!